The station called "Tokyo Station", in contrast to what one might think, it is one of the most important railway stations in Tokyo, but definitely not the "Central Station" of Tokyo, nor his "center", which as I wrote several times doesn't exist. There are some interesting places in the surrounding area, but there are most beautiful areas. It is located in Chiyoda special ward. Out of the Tokyo station you find yourself immersed in the district of Marunouchi, a shopping and business district full of skyscrapers, some of these are also home to shopping malls and panoramic restaurants in the upper floors, like the Marunouchi building and the Shin-Marunouchi building, two of the main buildings in the area and facing each other. Another very famous shopping center is the Marunouchi Oazo , in which there is also a large 4-floors bookshop with the best department in Tokyo of books in english. Heading south we arrive at the Tokyo International Forum , a symbol of the contemporary architecture of Tokyo, designed by architect Rafael Vinoly, interesting to look at and take pictures for lovers. the structure is a convention and fairs center, you can consult the official web site calendar. Coming out of Tokyo station and going straight, you arrive to the Imperial Palace of Tokyo , home of the emperor and the imperial family of Japan. The imperial complex is preceded by a huge square and is, together with its gardens, "isolated" from the city surrounded by a moat filled with water. Very impressive are the bridges that cross this moat. These buildings, along with interior gardens are not open freely, except on December 23 and January 2. 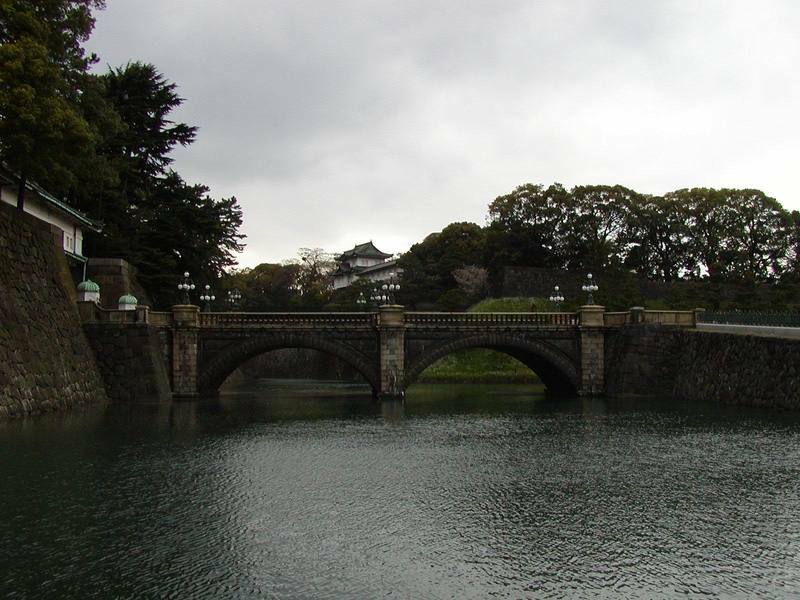 Perhaps through reservation, but I'm not sure, you can visit the Imperial Palace with guided tours, you can visit this website to try to understand more. Part of the gardens, "Imperial Palace East Gardens", are open all year instead, except mondays and fridays, from 9:00am to 5:00pm. Within these gardens there are the only remnants (few) of Edo Castle, the residence of the Tokugawa shoguns who ruled Japan for almost 300 years until 1867. Just north east of the gardens is the Nippon Budokan, a large stadium built to host tournaments of various Japanese martial arts styles (mainly judo, karate, kendo), I don't know how to obtain tickets, if anyone knows write me an email. Continuing westward at about 1 km away there is the Yasukuni Shrine , a shrine dedicated to the dead of World War II, a bit controversial since also dedicated to the memory of war criminals, and a destination for many neo-Nazis or nationalists. South of the "imperial moat" (I'm inventing this term at this time) Kasumigaseki district, home to several offices of ministries and other government buildings, and Nagatacho district, home to other institutional buildings including the parliament, are located. I know these districts only because some episodes of Death note anime are set there. The area is very convenient to stay because is very well connected with the other areas of the city, but at night, when the various shops and malls close, the neighborhood gets "asleep". Around the Tokyo station there are several modern medium-high level hotels such as the Metropolitan hotel and the Marunouchi hotel (on the upper floors of the Marunouchi Oazo). Top quality hotels (super-luxury) where neither I nor many of you will never be able to go are the Four Seasons or the The Peninsula hotel. Cheaper accommodations can be found east of the station (Yaesu Exit), where there are the neighborhoods of Kyobashi and, a little further north, Nihonbashi, two rather lively commercial areas. At about 700 meters from the station there is a modest capsule hotel from 3000 YEN per night, the First Inn Kyobashi. In Nihonbashi there are some cheap business hotels, which often offer rates with big discounts. 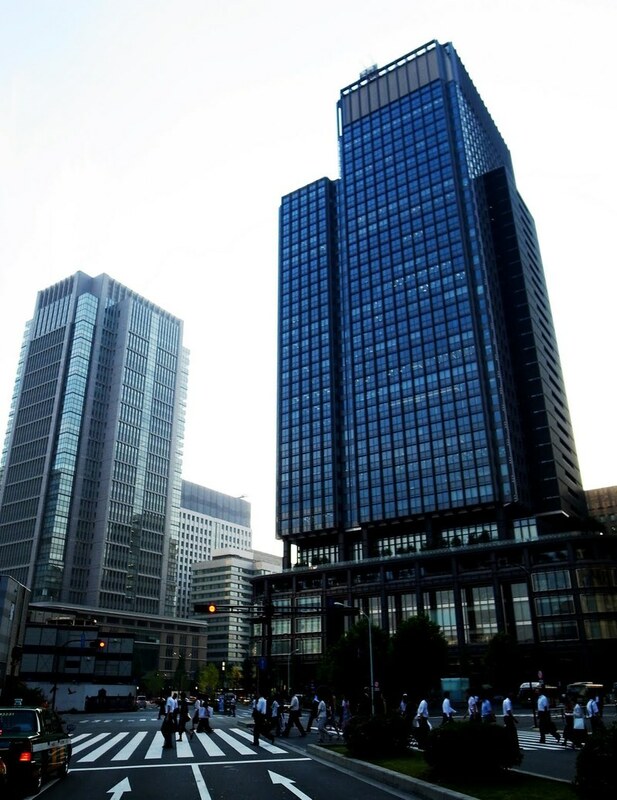 You can check for example the Trest Inn Nihonbashi, the Toyoko Inn Nihonbashi Ningyocho, the two Villa Fontaine Nihombashi Mitsukoshimae and Villa Fontaine Nihombashi Hakozaki. The Marunouchi area is full of restaurants also of international cuisine, but generally don't belong to a "low" price range. 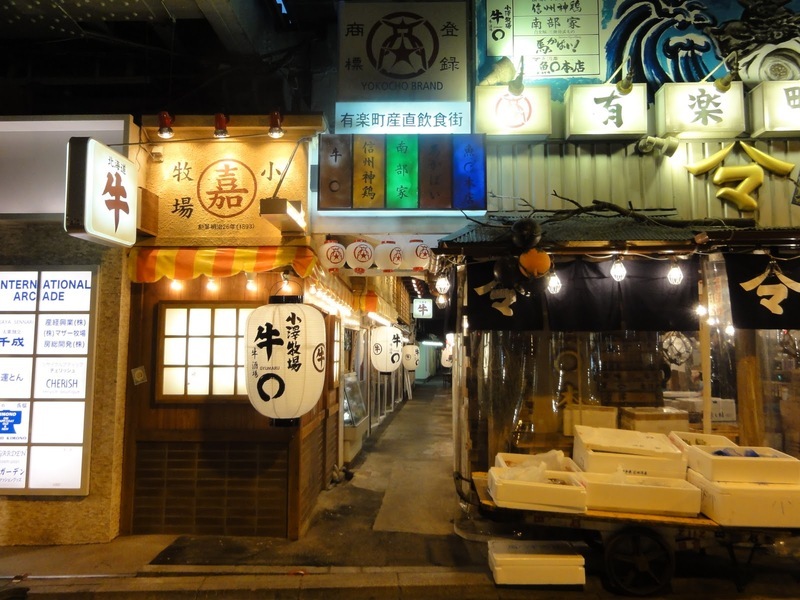 Very special are the many traditional Japanese restaurants along and under the railroad near the Tokyo International Forum and Yurakucho station instead. The most popular dish in this area are the yakitori. The station called "Tokyo" is one of the major railway hubs of the metropolis and connected in the best way. Yurakucho Station, south of Tokyo Station and very close to the Tokyo International Forum, is served by the same name line of the Tokyo metro (Yurakucho line) and by the JR Yamanote line. North of Tokyo station instead Otemachi station (interchange of many lines) and Kudanshita station near the Nippon Budokan (Toei Shinjuku Line, Tokyo Metro Tozai Line and Hanzomon) may be useful.